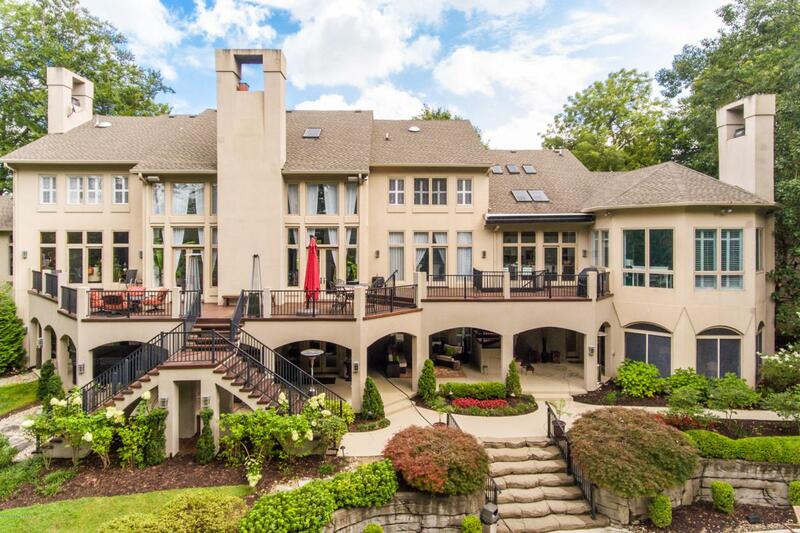 Located in one of Louisville's most premier neighborhoods, known for its large stunning treed lots and originally designed by the prestigious Olmsted firm, this contemporary masterpiece redefines the idea of the luxury executive estate, subtly blurring the lines of boutique hotel and beautiful home. Drawing on inspiration from the acclaimed Delano in South Beach to the famed Bellagio in Las Vegas and inviting celebrity visits from Muhammad Ali to Ralph Lauren, this modern mansion offers an experience unlike no other, including over 13,000 square feet of stunning living space, a gorgeous swimming pool with rock waterfall and a villa-inspired outdoor patio with over 2,000 square feet of covered and heated entertaining space. 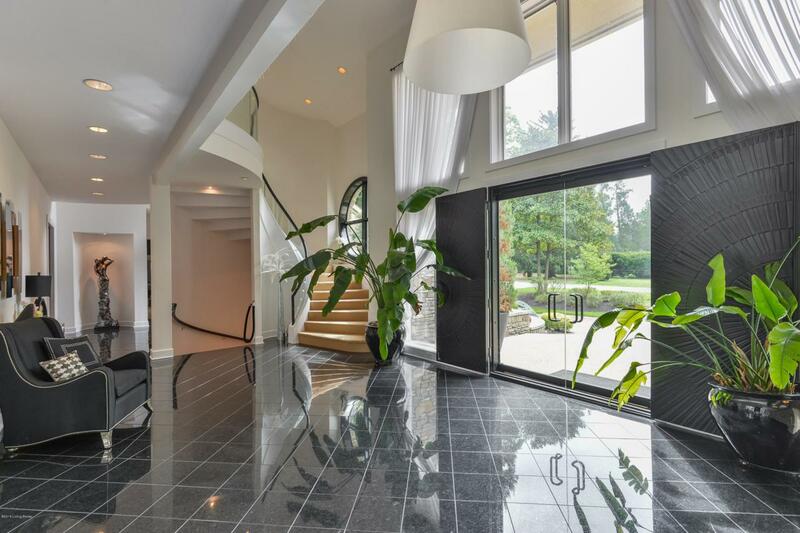 Beginning with the home's unique stone and stucco entrance withcircular driveway, guests arrive into the statement making two-story foyer with curved staircase, solid glass door entry and stone accent wall. From the entry, the home folds into the soaring great room personally designed by Ralph Lauren, featuring 24' vaulted ceiling with skylights, custom linen walls, spacious wet bar and two-story fireplace and hearth. The great room is flanked by a gorgeous wood paneled study with coffered ceiling and fireplace to the right, and a formal dining room with tray ceiling and chic mirrored built-ins to the left. From the dining room, guests are invited into the home's recently renovated gourmet eat-in kitchen with Cambria island, stainless steel Monogram appliances and custom vaulted ceiling detail. Past the kitchen, the iconic Beverly Hills Martinique breakfast room sits ready to wow, featuring a unique octagon design, double tray ceiling, glass door entry and gas fireplace. The first floor master suite offers a retreat like no other, featuring linen upholstered walls, vaulted ceiling with tresses, private balcony, custom walk-in closet with laundry and glamorous master bathroom with jacuzzi soaking tub, his and her vanities, and exposed beam ceiling with skylight. The first floor is complete with a large office or bedroom with en-suite bath, two powder rooms, sizable laundry room and an inviting mahogany deck wrapping the rear of the home and perfect for entertaining. Accessible by two stairwells, the second floor houses a piece of history, featuring the bedroom suite frequently used by overnight guest Muhammad Ali and including the legendary boxer's signature and only known written rendition of his famous poem, "Me Whee", recited in his 1975 Harvard commencement address. The second floor also features two additional bedrooms with Jack-and-Jill bath, game lounge, TV den and bonus/family room. The walkout lower level is the ultimate entertainment space, featuring large eat-in sports bar, billiards room with casino wall, family room with raised karaoke stage and stone fireplace and movie theatre with 12' screen, 3D projector and stadium seating. The lower level continues with a state-of-the-art exercise room with full bath, massage area, workshop and large bedroom suite with full bath and sitting room. Overlooking the stunning freeform pool enclosed by mature trees and alongside a scenic woodside stream, the lower level's outdoor living areas are unparalleled, including a spacious new outdoor kitchen with gas grill, coffered ceiling and eat-in wet bar bar with custom granite countertops. 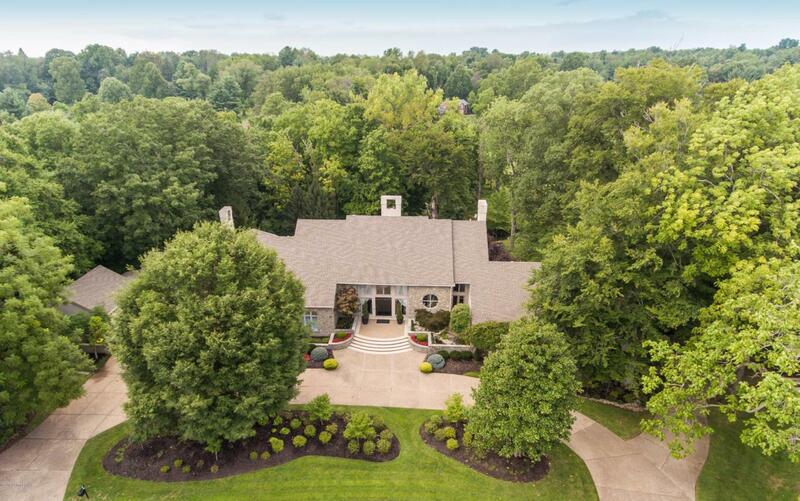 The home is complete with an incredible 11-car garage capacity, offering a private 2.5 car garage attached to the master suite as well as an additional 2.5 car garage with HVAC and garage space for six additional cars with hydraulic lifts on the mirroring wing of the house. 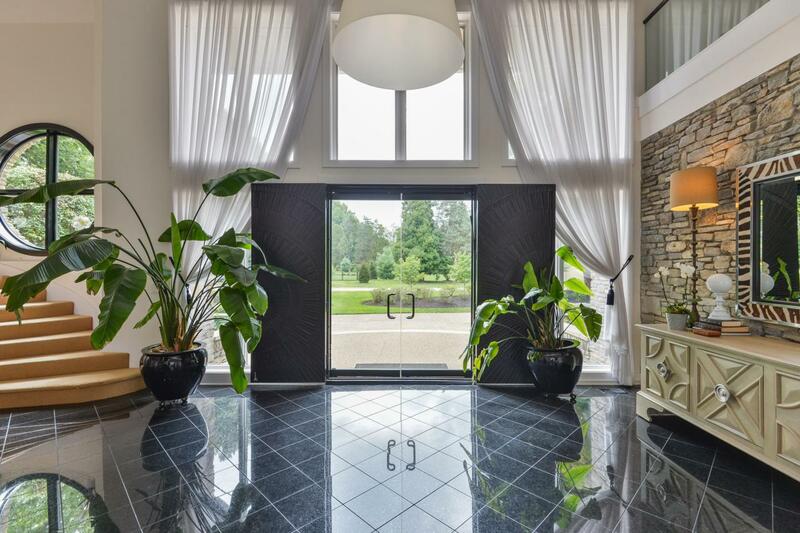 In addition to the countless custom interior and exterior features specific to this contemporary estate, the home also includes an incredible smart home automation system, featuring scene based and voice activated lighting, motorized draperies and skylights, advanced whole home audio system and complete digital video surveillance system.